A compact and solid dog, the Shih Tzu’s long, flowing double coat is its most distinctive feature. The word Shih Tzu means "lion" and although this dog is sweet and playful, he is not afraid to stand up for himself! One of the most popular dogs in the United States according to AKC Registration Statistics, this portable pooch has a distinctively arrogant carriage with his head well up and tail curved over the back. As the sole purpose of the Shih Tzu is companion and house pet, he should be lively, alert, friendly and trusting towards all. He requires minimal exercise, but his long, luxurious coat is hypoalergenic and needs daily brushing and maintenance.Shih Tzu Standard is 9 - 16 pounds and the breed was recognized by AKC in 1969. Grandma KOKO and Grandpa SUKI! These two started it all! Our In House Hobby Breeding Program. Churro, our Liver Stud is their son and has gone on to produce beautiful Liver Puppies with our Liver Dam Mocha and Robyn's Liver Dam Coco. In addition, the paring of Churro and our Skye Blue Mist(BLUE) has given us stunning Liver Haired and Blue Haired babies, although their noses were Black! ​We have been breeding the rare Liver and Blue pigment puppies since, 2010. ​We just added the Extremely Rare Lavender to our litters this last year, 2016! Come in and SEE our BEAUTIFUL PUPPIES! 1. COUCH, MEET SHIH TZU; SHIH TZU, MEET COUCH; If you want someone to snuggle up with while you watch TV, a Shih Tzu is happy to oblige. 2. SPACE SAVER; A Shih Tzu doesn't take up much room. At a mere 9 to 16 pounds, Shih Tzu easily can share the seat with you. 3. EXERCISE--WHAT'S THAT? ; Unlike big, energetic retrievers or super-charged herding dogs that need plenty of opportunities to run, a Shih Tzu's idea of a good work out is playing with a ball or doggie toys inside the house. 4. LOTS OF X'S AND O'S; Shih Tzu don't hesitate to show their affection to one and all-- especially to their own people. 5. IN TOUCH WITH ONE'S SELF; Shih Tzu can amuse themselves. They love their people, but if their people are momentarily occupied elsewhere, a Shih Tzu doesn't get bent out of shape. 6. ROOMMATE WANTED; The Shih Tzu's small size makes this breed ideal for living in compact human spaces, such as apartments or condominiums. 7.HAIR CARE; Unlike most other breeds, the Shih Tzu's coat will contribute very little to any dust bunny pile ups in your home because they hardly shed. If you have to vacuum, your Shih Tzu won't force you to wield the machine any more often than you would have otherwise. 8. MAY I BE EXCUSED? ; Shih Tzu have adaptable bathroom manners. They can learn to use just about any kind of doggie bathroom; a dog litter box, newspapers, or the great outdoors. 9. LITTLE DOG, BIG COURAGE; They're not weenies. The Shih Tzu's compact size belies his big-dog attitude. They are active and alert and can make good watchdogs. 10. I FEEL GOOD; Unlike other purebreds, the Shih Tzu, has relatively few health problems. 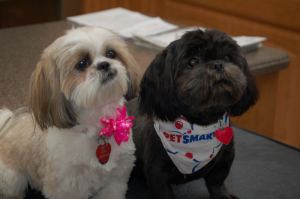 If you want a dog with a lot of character, a Shih Tzu may be a perfect choice for your first dog. They are playful but gentle, form strong emotional bonds with their owners and generally are not difficult to train. 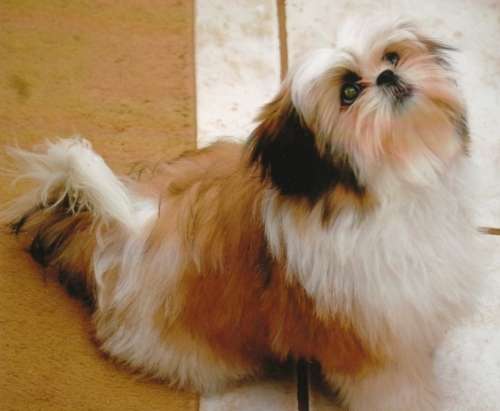 Some Shih Tzu’s develop behavior problems, but this is not necessarily in their nature. Because of their small size and cute faces, many owners tend to pamper their Shih Tzu’s, spoiling them and making them difficult to control. 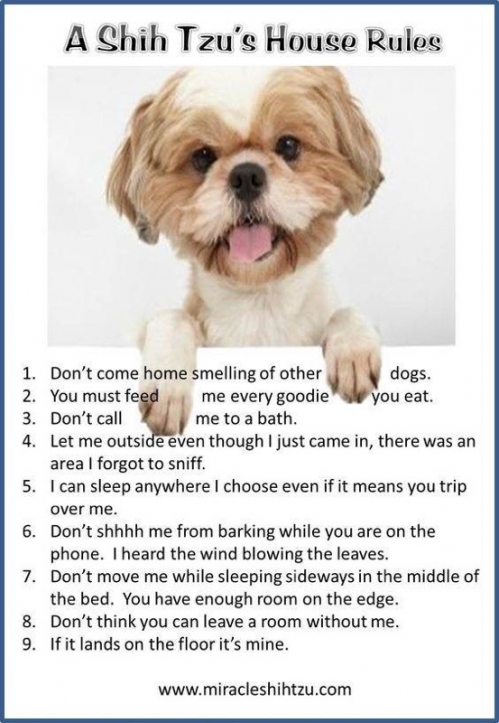 But as long as new owners remember that all dogs appreciate a strong-willed pack leader for an owner, the loyal Shih Tzu should prove an easy companion even for a novice.